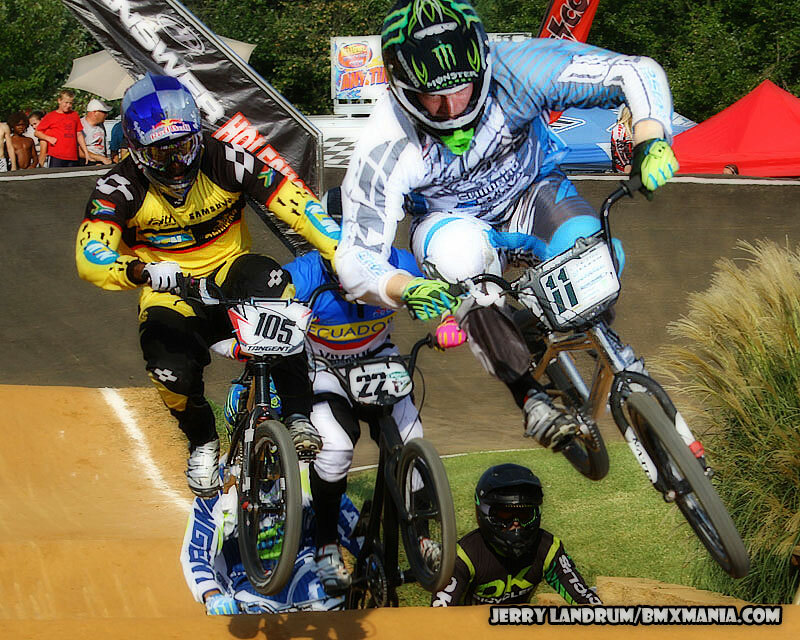 With the USA BMX National Series in its end of the Summer Swing, it was time to race at the legendary Louisville, KY Tom Saywer BMX Track. One of the most loved tracks by BMX racers world wide, a 3 day national event gave the Worlds fastest racers 3 shots at victory. The Chase BMX duo of Connor Fields and Vincent Pelluard were on hand, to not only race all 3 days, but to show the Louisville fans the all new line of hi-end CHASE BMX complete bike line, the “Element” series as well as the new OS20 Chase BMX Bike. The fastest 40 Elite Men kicked things off on Friday, ready to battle it out on the wide open Louisville track. The hot & humid weather didn’t slow down the Chase duo of Connor & Vincent and they made there way through all the qualifiers and into the main event. When the gate dropped, it was Connor with the hole shot and the lead coming out of the first turn, with Vincent in tow. The two would race that way for the entire lap, with Free Agent/Rockstar Pro David Herman in the 3rd plate spot. 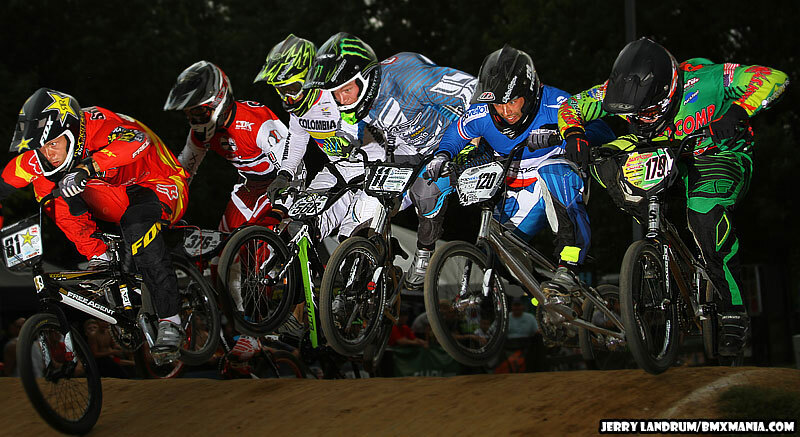 This would be Connor’s 8th podium of the 2013 USA BMX Season, out of 9 races. This was Vincent’s best USA BMX race result of his career. Day 2 would be a true test for any BMX’er as the weather was a huge part of the challenge of the day, as the humidity was turned up and the heat was relentless. As the riders again made their way thru the days program, both Connor and Vincent were once again lined up on the gate when it came main event time. When the gate dropped though, it was a Marris Strombergs with the hole shot and the win for the day, while Connor would settle for 5th and Vincent with a 7th. Just minutes after the Elite men finished up the lap, the sky’s opened up and the torrential rains came down.The race would eventually be postponed until Sunday morning for the rest of the main events. Day 3 would be a true test of the Elite riders conditioning and when it came time for the main event, the only rider to make the main event all 3 days, was Connor Fields.As the gate dropped for the last time for the Elite riders, Sam Willoughby would take the lead, with David Herman in 2nd and Connor in the 3rd place spot. The riders would end up this way at the line and giving Connor another podium finish and a solid 2nd place overall in the current USA BMX Elite Men National standings. Chase BMX is proudly sponsored by Shimano, FLY Racing, Tioga, Elevn Racing, ODI, Insight, Thomson, Excess, and KingStar.